My koi fish nail polish strips finally swam away on day 14. Despite Sally Hansen's "lasts up to 10 days" claim, the scales were still barely chipped - but I just couldn't wait any longer to wear one of the sets I earned from my first Jamberry party. I ordered 10 designs, but Metallic Snakeskin was an easy first choice because it was Art of the Belly dance festival weekend! 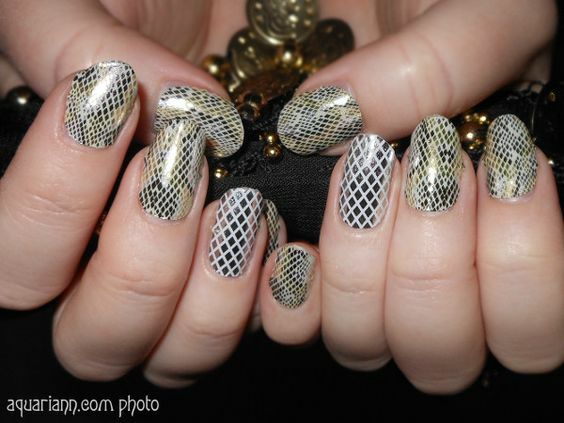 I thought it'd be fun to wear snakeskin nail art while watching several stunning dancers make snake arm movements. I also added Metallic Silver and White Fishnet as an accent on my ring finger nails. The shinier, the better when shimmying! Speaking of sparkle, Jamberry just released two exclusive MAMMA MIA! wraps that are only available for a limited time. My my, I couldn't resist already starting another party to get my hands on the Broadway design! 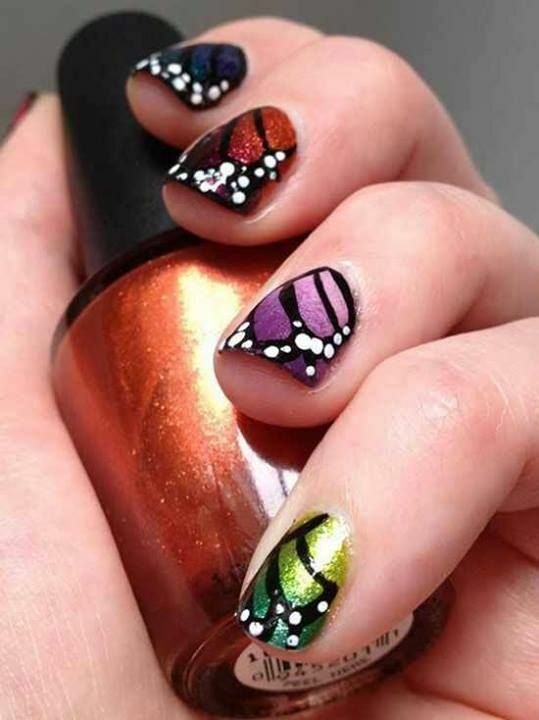 Jamberry Nails is still offering the Buy 3, Get One 1 deal so don't delay. Please find and select "Aquariann" in the list of names under party at checkout to help me reach my goal. Loving metallics right now! I should go pick up some of these! So awesome! I really like the fishnet accents. 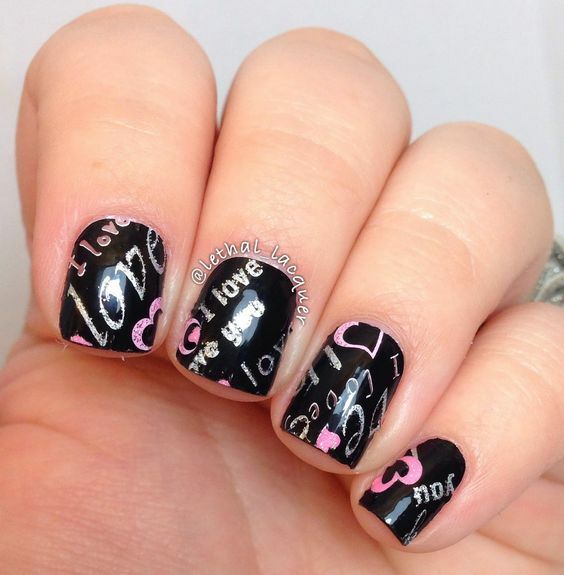 These nails are gorgeous! 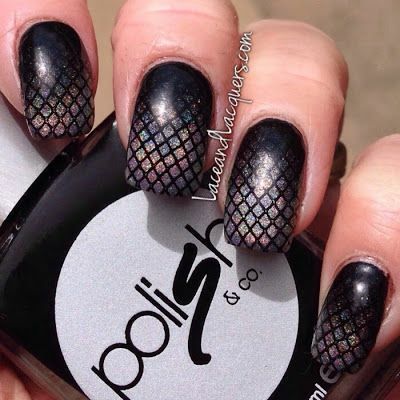 Metallic snakeskin is hot!